Preheat the oven to 425°. In a roasting pan, combine 2 of the apples and the chicken broth. Set a V-shaped rack in the pan. Season the turkey all over with salt and pepper and set it on the rack. Arrange the bacon slices over the breast, overlapping them slightly. Rub the legs and wings with the olive oil. Stuff the cavity with the sage sprigs and the remaining apple. Cover the turkey with foil and roast for 1 hour. Uncover, reduce the oven temperature to 375° and roast the turkey for about 2 1/2 hours longer, until an instant-read thermometer inserted in the thickest part of the thighs registers 165°. Tilt the turkey to release any juices in the cavity. Carefully transfer the turkey to a cutting board and let rest for 30 minutes. Skim the fat from the pan juices and keep warm. 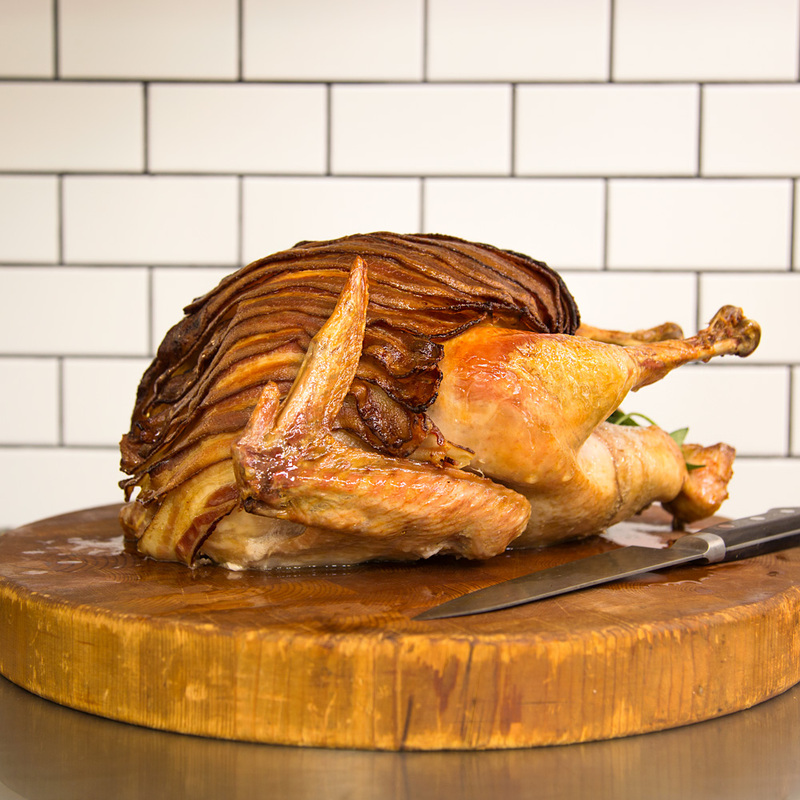 Carve the turkey, arrange on a platter and serve with the pan juices and bacon.